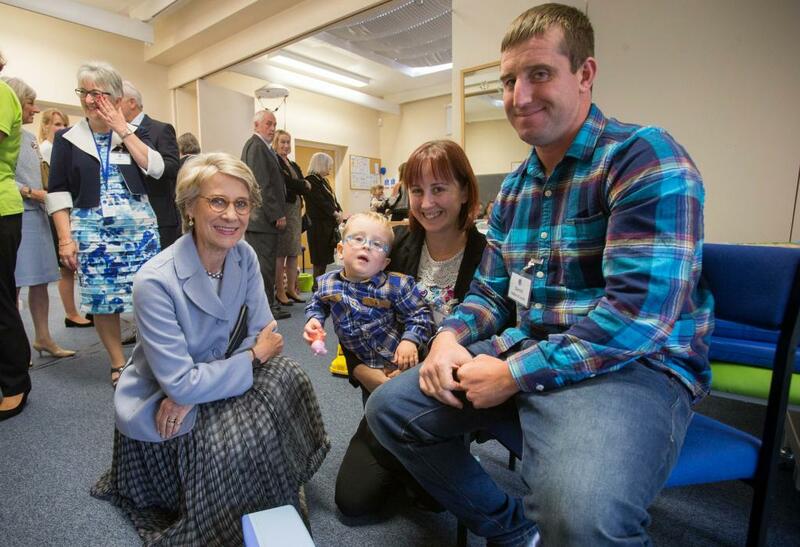 The Duchess of Gloucester has visited Bobath Children's Therapy Centre in Wales to see how therapy programmes are benefiting babies with cerebral palsy. The Duchess has been Patron of the Centre since 1996. The Early Intervention Programme gives frequent therapy to babies in their first two years, while they are growing quickly, to help each child reach their own potential. The Duchess saw baby Sienna receiving therapy, and was able to speak to her parents Toby and Hayley. Later, The Duchess joined a family coffee morning to meet other children and families who attend the Centre.